A research team led by marine science professor Mike Parsons developed a pilot air-sampling program. They put air sample filters at a Cape Coral home on a canal with blooms and from a control site without a bloom. 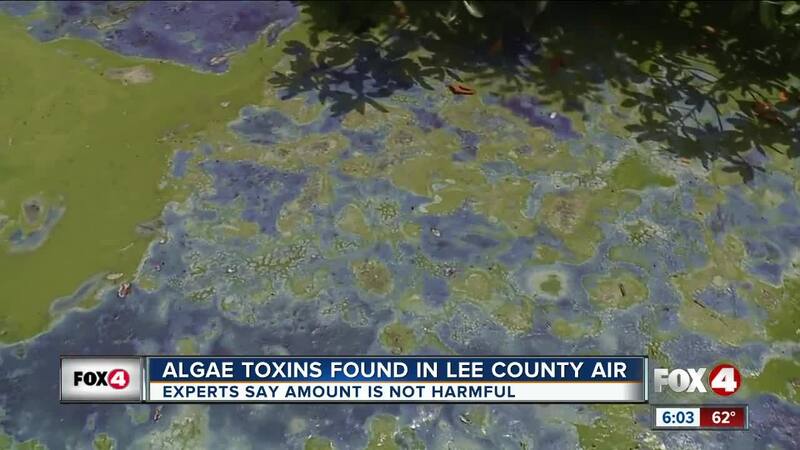 LEE COUNTY, Fla. -- Researchers in Cape Coral confirm that airborne toxins have been found in the air near algae blooms, but say the levels are so low they're not harmful. Florida Gulf Coast University was awarded federal funds to study whether algae blooms are producing airborne toxins or particles that we then breathe in. "I think the two points to really hit home are that we detected toxins, so that's something that needs following up. But the toxins were at very low levels and don't represent a threat right now," says Parsons. Many Cape Coral canals became clogged with thick blue-green algae this summer while excess water was being dumped from Lake Okeechobee into the Caloosahatchee River, which leads to Lee County. In addition to FGCU, the project involved Yale University researchers and the Cape Coral Environmental Resource division. They plan to discuss expanding the pilot monitoring program after analyzing all of the results.